Known for its distinctive cow-spotted boxes, Gateway has grown into one of the world’s best-known technology brands with millions of satisfied customers. 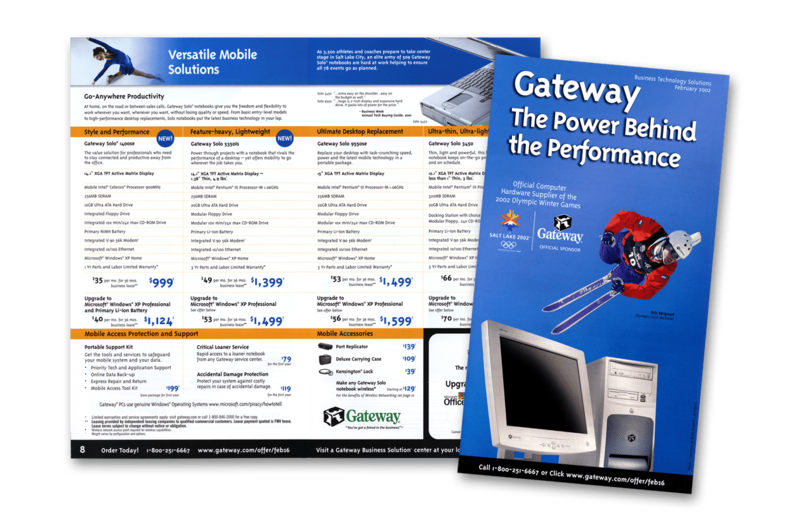 Gateway is dedicated to making the experiences of buying, owning and using a PC convenient and trouble-free for customers. As Gateway pushes into new frontiers, they remain dedicated to their original objective of helping people improve their lives through technology. 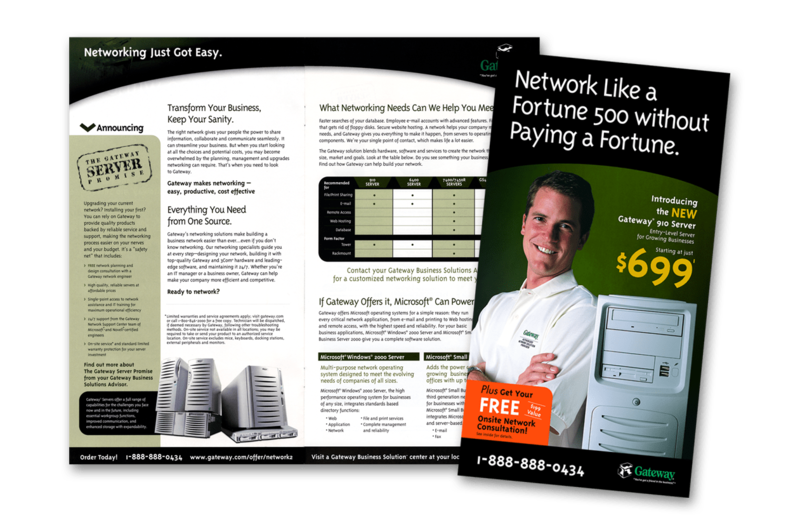 In appealing to a wide range of direct response audiences, Gateway’s messaging gradually lost sight of the consistency that tied their direct mail catalogs together under one corporate brand. In addition, the product descriptions and features used to show various model configurations were not clearly communicated to consumers. 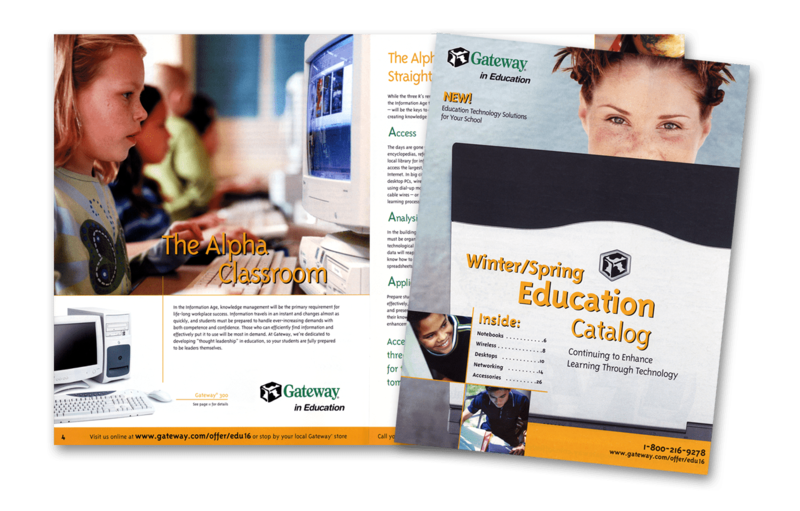 Gateway sought a better design to simplify product information and increase the return generated by their catalogs. I developed a creative strategy and consistent style which relied on short headlines and interesting photos of products and people in their environments. 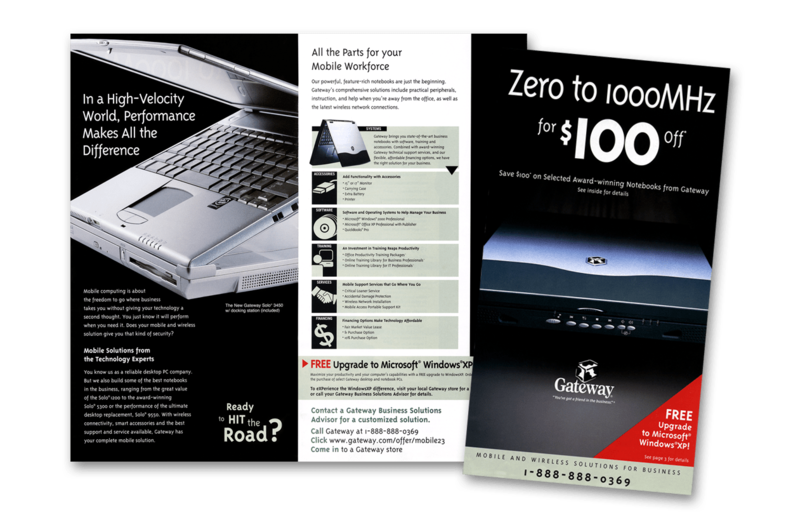 This direction emphasized computers as solutions rather than just hardware, which returned to the foundation of Gateway’s overall brand. Additionally, I created a simple matrix design to simplify feature and benefit configuration information, making it much easier for consumers to navigate and compare models. My creative solution generated a volume of responses which exceeded Gateway’s expectations.